From the Missouri to the Mississippi, bicycling is a wonderful way to enjoy Iowa. Iowa is home to RAGBRAI, the oldest, largest and longest running recreational bicycle touring event in the world. Iowa is also home to a huge cycling culture, beautifully expansive trailways, and tens of thousands of miles of underused highways, yet drivers and bicyclists are still learning how to safely share the roads. Lawyer Jim Freeman is fighting for the rights of bicyclists, some of the most vulnerable users of Iowa’s roadways. Jim Freeman first became involved in legal representation of bicyclists when a friend was struck by a car during a group ride in 2006. She sustained a head injury and couldn’t recall the details of the collision. The insurance company initially denied the claim suggesting that the bicyclist had simply darted in front of the car. Jim investigated the accident and through witness interviews he determined what really happened. Eventually he was able to help his friend get compensation for her injuries. Since then Jim built his client base through word of mouth among cyclists who knew him as a fellow commuter, bike racer, and touring cyclist. Jim was recently interviewed by "Insight on Business|the News Hour" regarding Iowa bike laws and bike accidents. He is the founding partner of the Freeman Kevenides Law Firm, a personal injury practice dedicated to helping bicyclists throughout the Midwest. Begun in Chicago, the firm now practices in Iowa (because that's where Jim wants to raise his child). All members of the FK Law team are cyclists who participate in the local bicycling community by donating time and finances to groups that promote cycling and improve conditions for bicyclists. They also attend group rides, sponsor racing teams, and frequently commute to work by bicycle. 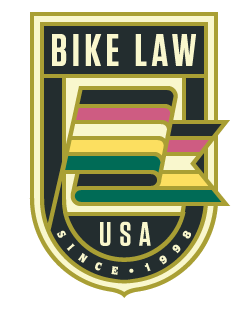 Known as “Lawyer Jim,” he believes that immersing himself in his hobby for a living is his favorite thing about practicing bike law. For many years, Jim has volunteered and worked with local bicycle advocacy organizations educating people about their rights and responsibilities. Jim gives regular "legal cycling" presentations to bike clubs throughout the Midwest in an effort to educate cyclists about safety issues and how to handle collisions, assaults and accidents.